Boycotts “involve withdrawing support for Israel and Israeli and international companies that are involved in the violation of Palestinian human rights, as well as complicit Israeli sporting, cultural and academic institutions”. Divestment campaigns “urge banks, local councils, churches, pension funds and universities to withdraw investments from all Israeli companies and from international companies involved in violating Palestinian rights”. Sanctions campaigns “pressure governments to fulfil their legal obligation to hold Israel to account including by ending military trade, free-trade agreements and expelling Israel from international forums such as the UN and FIFA”. One of the most prominent elements of the BDS movement in Britain is the call for a consumer boycott, extending to all goods which come from Israel (not just those from illegal settlements in the West Bank — though it’s largely because of pressure from the BDS movement that UK supermarkets such as the Co-op have stopped stocking settlement goods). Specific companies which profit from apartheid are often singled out by BDS activists in their respective countries; Hewlett Packard, G4S and SodaStream are currently among major targets in the UK. However, the consumer boycott is only one small part of the wider BDS movement, which also seeks to “pressure institutions, unions and companies to boycott or divest and to isolate Israel academically, culturally, economically and militarily”. In the UK, many local authorities have been disinvested their pension and investments funds from Israeli companies and international companies which profit from apartheid. Scottish activists have also taken part in action targeted at Israeli state-sponsored shows at Edinburgh Fringe Festival, and at major arms manufacturers like Raytheon and Thales UK, which operate plants in Scotland and provide Israel with cutting-edge military technology. The threat of the BDS movement to the Israeli regime is demonstrated by the lengths to which the Israeli government and its international allies have gone to undermine and defeat it. In December 2017, the Israeli government allocated $72 million (£54.4 million) to its most expensive anti-BDS campaign to date. Earlier that year, former Israeli government advisor Gidi Grinstein told a conference in the United States that Israel and its allies had “probably invested 20 times … more resources in dealing with this problem compared to what we invested in 2010”. In 2018, Israel imposed a blanket travel ban on international charities and human rights groups which endorsed the BDS call, and continued its criminalisation of Palestinian BDS activists. Closer to home, the Tory-led UK government announced a series of measures in 2016 and 2017 to stop local authorities throwing their weight behind the BDS movement, as has been done by the likes of West Dunbartonshire Council and others south of the border. In February 2017, Communities Secretary Sajid Javid — now Britain’s Home Secretary — promised to “clampdown on these inappropriate and needless boycotts once and for all”. Only a humiliating court defeat inflicted by the Palestine Solidarity Campaign (PSC) in England and Wales forced the UK government to reverse track on those particular measures. In spite of this, opinion polling conducted by YouGov on behalf of the PSC in summer 2017 found that 43 per cent of British voters still believe the Palestinian call for boycott, divestment and sanctions is “reasonable”, compared to just 13 per cent who don’t. To the credit of activists who have steadily built support for the BDS movement over more than a decade, a majority (51 per cent) of Labour voters and a significant proportion (40 per cent) of Conservative voters said BDS was “reasonable”, despite Labour leader Jeremy Corbyn (himself a patron of PSC) distancing himself from the BDS movement and Tory leader Theresa May insisting that her party “will have no truck with those who subscribe to it”. 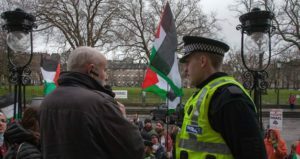 The BDS movement has won support from a broad layer of Scottish civil society, not least because of the work by organisations like the Scottish Palestine Solidarity Campaign (SPSC), which plays a central role in building support in Scotland for the BDS movement. The Scottish Trades Union Congress (STUC) gave its backing to the BDS movement in 2009 and confirmed, in 2017, that its links with the Zionist Israeli trade union federation Histadrut had effectively been broken as a consequence. The STUC clearly stated it “is certainly not looking to build bridges with an organisation that supports the occupation of another land”. Student unions and student associations at University of Edinburgh, University of Glasgow, University of Strathclyde, University of Dundee and Abertay University have all added their support in previous years, as has the National Union of Students (NUS) at a national level. However, BDS activists have also been forced to contend with an increasingly well-organised pro-Israel lobby in Scotland which has attempted to make inroads into Scotland’s major political parties. 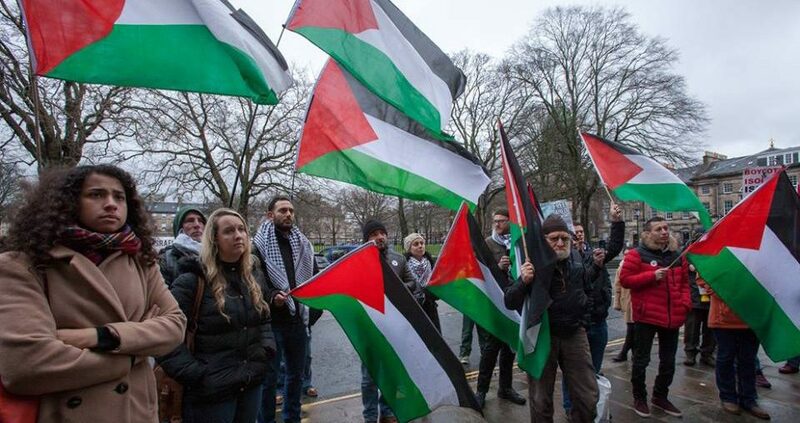 The Confederation of Friends of Israel in Scotland (COFIS), which works directly with the Israeli state to undermine the BDS movement, has attempted to join anti-racist marches to provide a progressive cover to its support for Israeli state-enforced racism. These factors, as well as the escalation of Israeli violence against Palestinians following the election of Donald Trump as US president, make continued and unqualified support for the BDS movement a critical component of any meaningful solidarity with Palestine and its people. 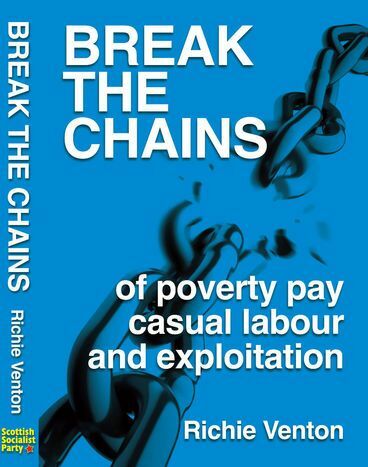 Campaign pack for trade unions from the Scottish Trades Union Congress (STUC). BDS handbook for student activists from the National Union of Students (NUS). Contact Kevin McVey, SSP international secretary, to discuss the SSP’s plans.